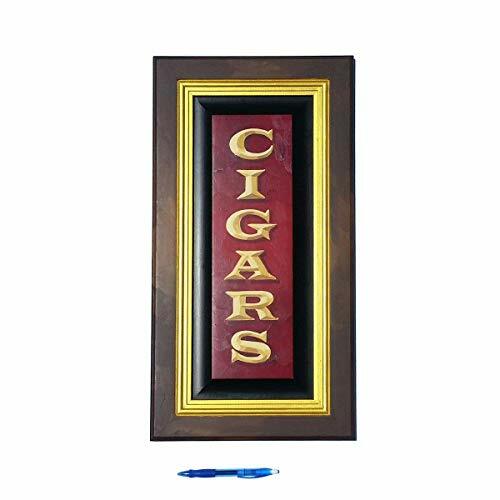 I hand painted this Cigar sign on a new solid cherry wood cabinet door style panel. Inner border is shiny metallic gold enamel. You won't see another just like it. Sawtooth hook on back. Size is 12 x 22" 3/4" thick. If you have any questions about this product by Chuck Peterson Designs, contact us by completing and submitting the form below. If you are looking for a specif part number, please include it with your message. Wood Wall Art Photography - Bourbon Themed Decor: Old Forester Barrels 11"x11"
1 Stardust Forever Copper Rose #1599" I Love You" Steampunk, Wedding, Prom, Graduation, 7th Anniversary, Regalo de Aniversario, Hanukkah, Kwanzaa, Valentine's Day, Mother's Day, Christmas Gift !